One of our completely ultra modern fireplaces, designed and manufactured entirely to the architect and designers specification. 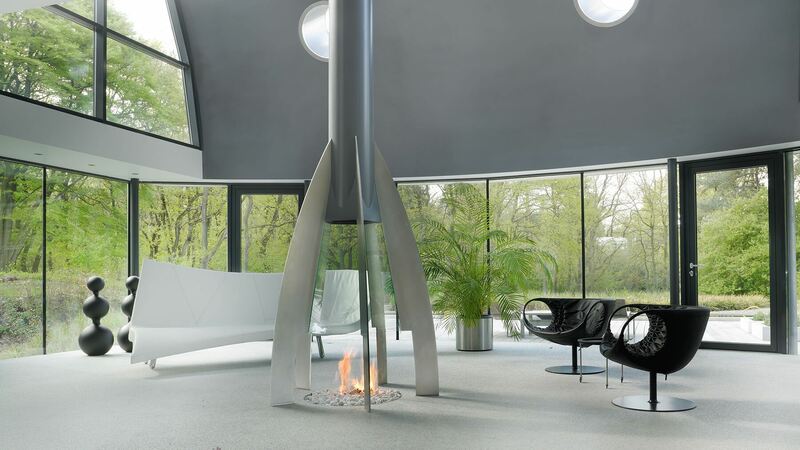 As a central feature of this converted airplane hangar, this bespoke fireplace design is based on the shape of a rocket. The gas burner is built into the floor and the steel structure above incorporates clear pyramid shaped glass to maintain transparency and light flow while ensuring the safe working of the fireplace. Beautifully designed and engineered this fireplace fulfilled the design brief perfectly. Speak to a Design Consultant for more insight into ourultra modern fireplaces.